SUNTORY brought out new taste of low-malt beer containing collagen called "PRECIOUS." OUWN was assigned to designed a web-site of "PRECIOUS." 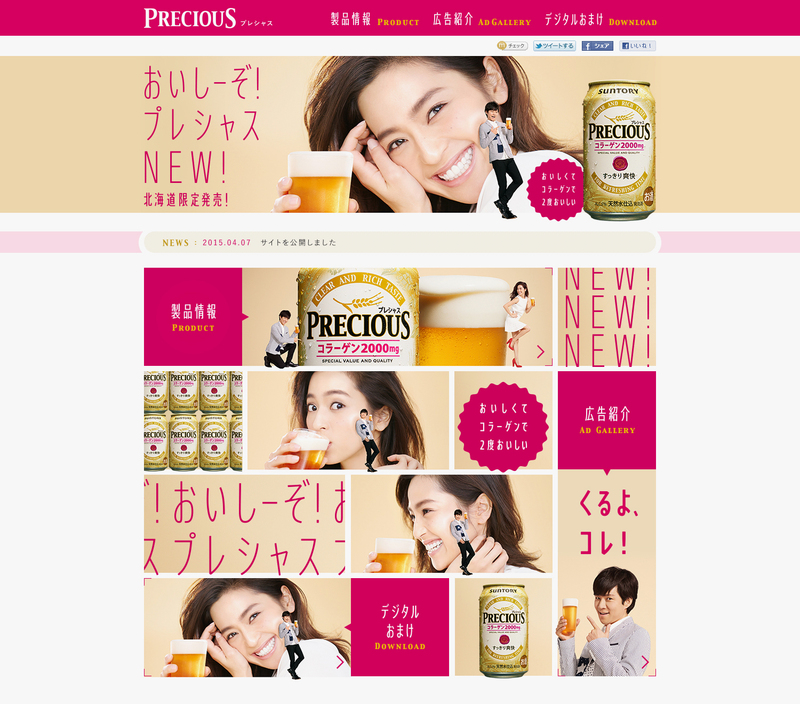 It is designed to show “PRECIOUS” is women-friendly beer with warm colors and clean layout. Please do have a look.